After 17 days in the captivity of United Liberation Front of Asom-Independent (ULFA-I), 52-year-old Dinanath Upadhyaya has been released at Wara Basti village in Arunachal Pradesh on Monday. 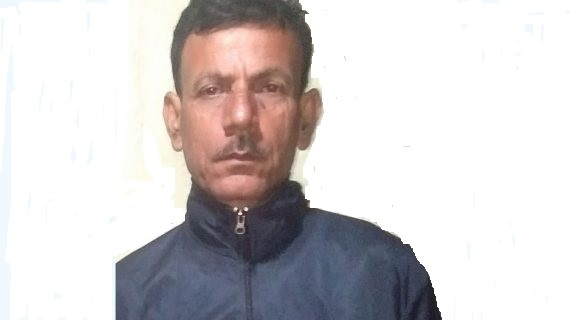 Upadhyaya, who was serving as a supervisor in a private tea garden at Jagun in Tinsukia, owned by Radha Chetia at Phaneng, was abducted by a group of five men on motorcycles while he was on the way to the local market on June 8. According to reports, ULFA-I has demanded Rs 3.5 crore from Radha Chetia for releasing Dinanath Upadhaya, the employee of his tea garden. The demand was made by senior ULFA-I leader Michael Deka Phukon, who called Chetia to fulfil the demand. It may be mentioned that after his abduction, Upadhyaya’s family members and well-wishers demanded his unconditional release. Meanwhile, ULFA-I recently released a video of the abducted tea estate employee, Dinanath Upadhyaya, on their Facebook page where Upadhyaya is seen wearing a pink shirt and a lungi. ULFA-I released the video claiming that ‘Gopal Upadhyaya’ alias Dinanath was in their custody. In the video, Upadhyaya said that he was abducted by the rebel outfit for sharing information about the movements of the NSCN(K) under instruction of Margherita MLA Bhaskar Sharma and the garden owner, Radha Chetia. He said they had promised him to pay a better salary with incentives for sharing information on the movements of the militant group. Upadhyaya also claimed that the outfit had held several people captive at Jagun for sharing such information. “It is not clear that Rs 3 crore was given for release or not,” said a source.